Nanao Sakaki Wind For Mind Sloow Tapes – CS 60 Nanao Sakaki (1923-2008) was one of the important counterculture poets/activists in Japan from the fifties onward. 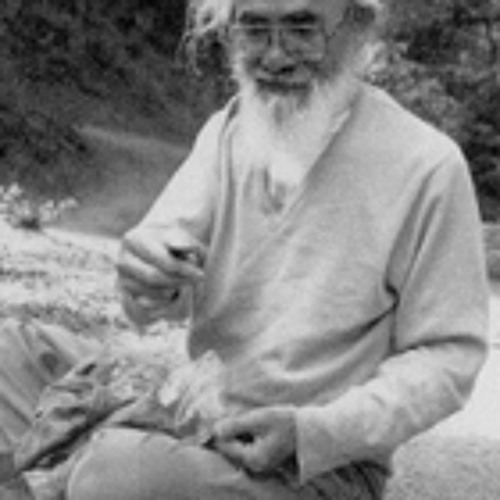 He has been described as “a walking collective call of the wild man, commune cofounder, scholar of languages and aboriginal culture and tribal traditions, troubadour to hang out with, lover of 'shrooms and the herbs, movement maker, The Tribes, homeless (except for the cabin in Shizuoka), green guru guy, activist, translator of haiku, mantra sutra rapper using the 5/7/5 syllabic meter...." After serving in the army during WWII, Nanao developed a deep distrust for Japanese militarism and dropped out of society, living under bridges and wandering around the country. He gathered a group of like minded young people around him, who called themselves the ‘Bum Academy’ and whose philosophy had much in common with the hippie movement. His poetry concerns a love of nature, a distrust of industrial culture and technological optimism and environmental issues. Like Basho meets Thoreau. This tape collects two readings from the nineties and an interview with James McCarthy. 100 copies.